Just as President Trump is threatening to eliminate the plug-in vehicle tax credit in the U.S. through his latest budget proposal, Canada is planning to implement its first nationwide tax credit for buyers of electric cars—one that may not apply to Tesla vehicles. Last summer, Tesla sales took off in Ontario when the company began shipping Model 3s to Canada. Then they collapsed a few weeks later, when a new Conservative government took power in the province and curtailed Ontario’s $4,000 (Canadian) tax credit for electric-car purchases. In the past, electric-car sales in Canada have been focused in provinces that offered tax cuts: mainly Ontario and British Columbia. The new national budget proposed by Liberal Finance Minister Bill Morneau, would promote electric cars by offering an even bigger credit from coast-to-coast(-to coast), as well as providing incentives for electric car chargers and even bigger incentives for businesses to buy electric cars. The new budget will offer Canadians who buy electric cars up a $5,000 (Canadian; $3,768 U.S.) tax credit. 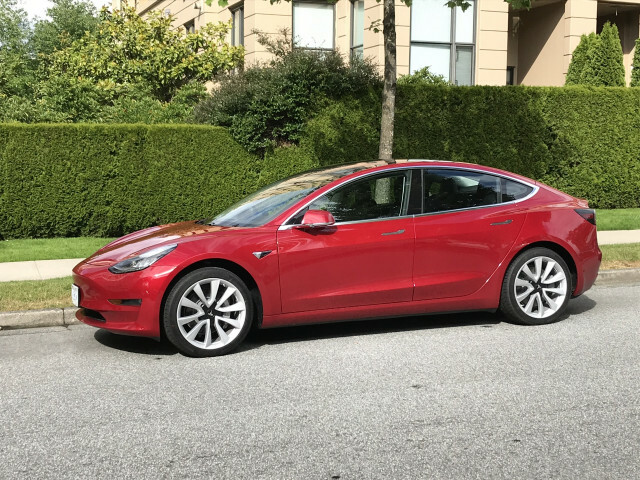 The credit is limited to cars that cost $45,000 ($33,924 U.S.), however, which rules out even the cheapest Tesla Model 3, which sells for $47,000 Canadian. The budget earmarks $300 million ($226 million U.S.) for the credits over the next three years. In addition, the government is budgeting $130 million ($98 million U.S.) over five years to build new public charging infrastructure in commercial areas, workplaces, condominium and apartment complexes, and remote locations for travel between cities. That should help make electric-car sales in Canada more of a national phenomenon.